A facelift and neck lift surgery work to restore the contour of your face and neck to produce a more youthful appearance. While there are many options available to combat the signs of aging, more women and men are considering surgical facelift and neck lift procedures. Non-surgical methods are available, but they will only produce a mild and subtle improvement. However, a surgical facelift and neck lift is a powerful method for revitalising your appearance. We all want to look our best, but time, gravity, stress and the natural elements seem to work against our chances of keeping a youthful appearance. As we age, our skin loses its elasticity and beings to sag, causing wrinkles, loose skin and other common signs of facial aging to appear. Production of collagen for healthy skin also decreases. 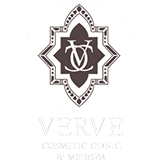 At Verve Cosmetic Clinic, we offer a facelift and neck lift to tackle this. What Happens during a Facelift and Neck Lift? During a facelift, incisions are made along the hairline and around the ear, which allows the underlying facial muscle tissue, excess skin and fat to be trimmed, folded, removed and repositioned back to where they were in youth. Since the incisions are made in these places, there should be no visible scarring. As this procedure requires extreme precision, it can take several hours to complete. Does a Facelift and Neck Lift Hurt? A facelift and neck lift should not hurt the patient. You will be administered a general anaesthetic before surgery, so this means that there should be no pain. Every effort is made to make sure that patients are as comfortable as possible throughout the process. Are there any Side Effects from a Facelift and Neck Lift? There are some side effects that are associated with a facelift and neck lift. It is normal for there to be some minor swelling and discolouration around your face and neck, as well as the area being sensitive. This will fade within a few weeks of the procedure being performed. Many patients report a stiff and numb feeling lasting for a few days. You will need to bring someone to drive you home from the clinic, as you will not be fit to do so. Is there any Downtime Associated with a Facelift and Neck Lift? The recovery time from a facelift and neck lift will vary for each person and will also depend on the level of the procedure, such as how many structures need to be addressed like skin, ligaments and muscles. Generally, you should be able to go about your daily activities after a day or two but take it easy and do not involve yourself in rigorous activities for the first week following your surgery. Most patients take around a week off work for recovery and rest. As the skin will be sensitive after surgery, it is recommended that you avoid direct sun exposure for a while. Who are Suitable Candidates for a Facelift and Neck Lift? If you notice signs of aging on your face and neck that you would like to correct, a facelift and neck lift may be the procedure for you. There is no ideal age to have a facelift, but since facial aging starts to become noticeable for most people in their late 30’s, most people look to having the procedure done during their 40’s and 50’s. This age range is viewed as optimum as one is generally healthier and more active, with fewer medical issues than those over 60. To book a personal consultation with Dr Nasser to decide what is best for you, get in contact with us today to discuss your facelift or neck lift surgery options. What is the ideal age to get a facelift surgery? There is no ideal age to have facelift surgery, but since facial ageing starts to become noticeable for most people in their late 30’s, most people look to having the procedure done during their 40’s and 50’s. This age range is viewed as optimum as one is generally healthier and more active, with fewer medical issues than those over 60. How long will the facelift procedure go for? As this procedure requires extreme precision, it can take several hours to complete. You will need to bring someone to drive you home from the clinic, as you will not be fit to do so and have them take care of you for the first 24 hours post-op. Recovery time will vary for each person and will also depend on the level of the procedure (how many ‘structures’ need to be addressed i.e. ; skin, ligaments & muscles etc. ), with many patients reporting a stiff and numb feeling lasting for a few days. Generally, you should be able to go about your daily activities after a day or two, but take it easy and do not involve yourself in rigorous activities for the first week following your surgery. Will I need to have facelift or neck lift surgery performed again? Facelift and neck lift surgery is performed once for most people, but you may look to repeat the procedure depending on your personal goals once the signs of ageing return. There are many adjunctive treatments and procedures which Dr Nasser will discuss with you at your consultation which can aim to lengthen the results of your initial surgical face or neck lift. How much does a face lift and/or neck lift cost? Face Lift procedures start at $10,000, Neck Lift procedures start at $7000. The procedures are performed in hospital and hospital charges will apply, please contact us for more information.